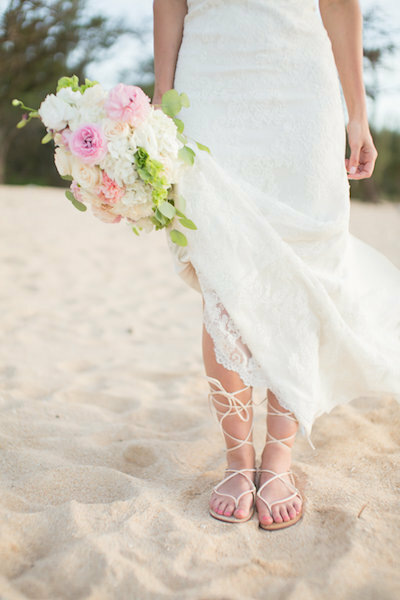 We planned an elopement package with Simple Oahu weddings and it was perfect. Everything from the location, the flowers, the people we dealt with whilst planning and on the day all made us feel extremely comfortable & listened to! 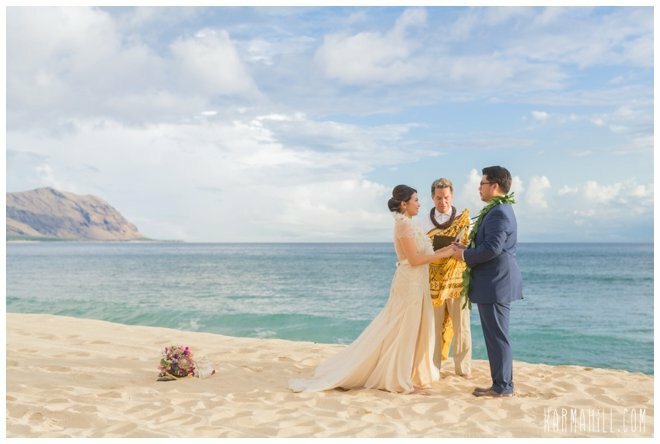 We would not hesitate to recommend Simple Oahu Weddings to anyone looking to have an intimate wedding in an extremely beautiful setting, particularly with such an excellent team of people involved to help and support you throughout the entire process. Thank you again for making our wedding day so special for us, we are forever grateful. Awesome group of creative, talented people!! Thank you so much for coordinating our elopement!! You guys did an amazing job with the photos! 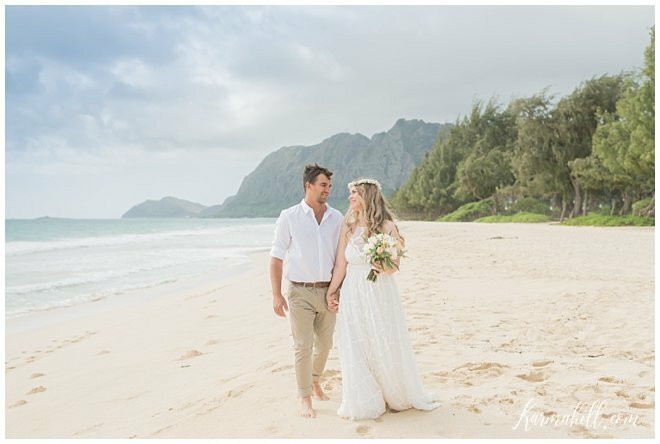 We live in Maryland and trying to find a place in Hawaii to get married was quite difficult until we found Simple Oahu Wedding! They took care of EVERYTHING that we needed to make our wedding day absolutely amazing. The team responds quickly to emails and will thoroughly answer every question that you have! Our officiant was what we wanted and more, the flowers were perfect, the photography was breathtaking, the location was incredible and having an onsite coordinator the day of just made everything less stressful. Our onsite coordinator even held my phone on FaceTime so my grandmother could be a part of the ceremony! She was so kind and we appreciated that beyond words. Our photographer was so much fun and really took incredible photos! We communicated with Aysha for the majority of the time through Simple Oahu and she was always on top of things and gave us great confidence. Simple Oahu also gives you a list of recommended vendors - which is BEYOND helpful. We used Kim as our concierge. She helped us with our hotels, restaurant reservations, activities, inter-island flights, etc. Couldn't have done it without her either! When we decide to renew our vows - we will absolutely choose Simple Oahu to take care of all of our needs! 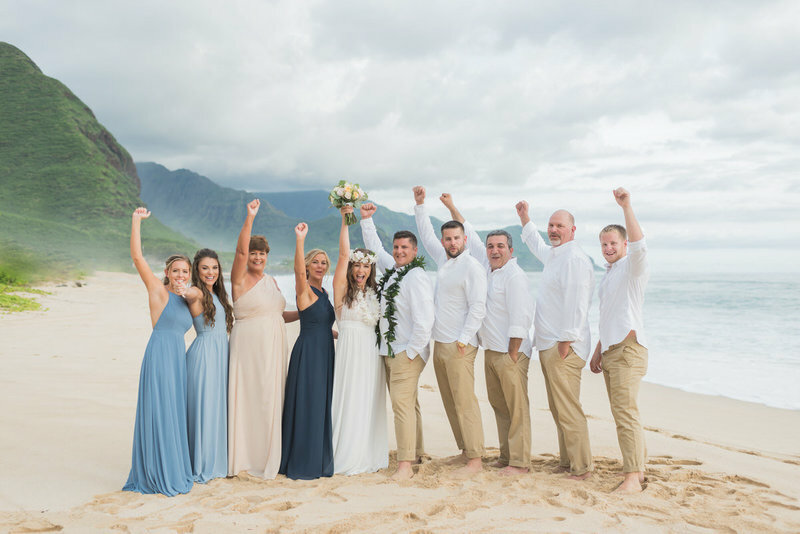 We had the perfect wedding thanks to Simple Oahu Wedding team. 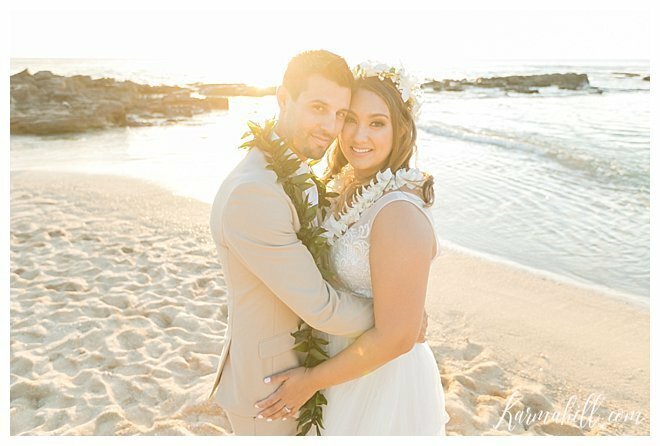 I still can’t believe that we got married on a beautiful beach in Hawaii at Sunset it was like a movie or my dream come true. Lol. I cannot express enough how genuinely kind every staff member was, from the consistent communications online to the team at the ceremony. We got the elopement package, and just the 2 of us with our small children. Our 1 year old kiddo was a little bit of a handful. But our coordinator was the best and so sweet with him and held him so my husband and I could take our pictures together. Even our photographer from Karma Hill held him for a bit while taking pictures, she is so talented. The lighting at sunset was beautiful and our photos have a pretty glow to them. They made our wedding stress free and I could tell that they genuinely cared for us as a family. Our officiant was great and we had tears of joy. A few days later we received our picture preview and the sweetest post on their website blog. I highly recommend them to everyone who wants to get married in Hawaii.